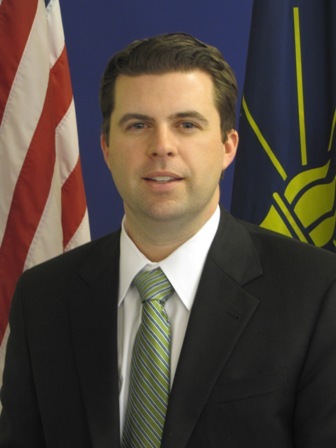 The Indianapolis Star reports that Secretary of State Charlie White's second in command at the office has resigned. Sean Keefer, White's campaign manager, held the position as Deputy Secretary of State and Chief of Staff played a critical role in supervising the office's four division and seven employees. Reading the comments to the story, one would have thought Keefer has made a move based on integrity, that he didn't want to be part of an unethical Charlie White administration. I'm not sure of Keefer's reason for resigning, which reason may be made more clear with a formal announcement tomorrow. But is the pat on the back Keefer receiving or his assumed motivations actually earned? First, there is no allegation whatsoever that Charlie White has somehow corrupted the duties and responsibilities of the Secretary of State's office or that anyone on White's SOS staff is doing anything wrong. The legal challenges Charlie White faces are totally based on pre-election events. The duties and responsibilities of the Secretary of State's Office, critical to Hoosiers, continue on despite what is going on in a Hamilton County courthouse. White has every right to fight the charges. In the meantime, regardless of whether White steps down temporarily or not, the office needs strong leadership and guidance, which is an important task served by the Deputy Secretary of State/Chief of Staff. When I was head of the Title Insurance Division at the Department of Insurance, I had a number of dealings with Todd Rokita's Secretary of Office. I was impressed by the people who worked in the office. You are talking about 70 or so people who are undoubtedly dedicated to their jobs, simply trying to make it through a difficult time. Just because White is facing legal challenges doesn't mean that the office cannot continue to function at a very high level. While I never will criticize someone for considering his or her own welfare in career decisions, the laudatory praise being given Keefer for stepping down, probably is far, far overblown. Walking away from the No. 2 job probably was a decision based more on Keefer's self-interest rather than what is best for people of Indiana. I wonder if he is involved with providing the investigation report prepared by Rokita and his staff? The special prosecutors made a complaint to the inspector general's office. If he is found to have anything to do with that, he may be subject to whatever disciplinary action the inspector general can impose. I would certainly ruin his prospects for future employment. Another casuality of Charlie White. First, let it slip his wife was served with a target subpoena of the grand jury. Now maybe this guy. What? White is entitled to review every line of that report Rokita compiled. I agree. First, it was an open record that should have been made public as Rokita was not a law enforcement officer. Second, when people are accused of doing someting, they have a right to see the allegations and evidence upon which those allegations are based..
Third, being in charge of the office, he has a right and obligation to review all documents under his authority. I think it is equally an outrage that the special prosecutor has not released the report since he used it as evidence during the grand jury proceedings. It's frankly BS for him to complain about others having access to it when it should been released to the public anyway. Rokita's office wasn't even under a legal obligation to prepare the report since he had no independent investigative/prosecutorial authority in the matter. Rokita didn't even share it with the Recount Commission during the challenge to White's eligibility.